If you have been keeping up with our blog series, we are letting you in on all the secrets to being great at successfully completing some winery tours. There are some general tips and tricks to know, so that way you make the best of your time spent in the beautiful California wineries and countryside. Remember to always have transportation lined up for your wine tour. We are a great resource to get you to your destination safe and sound, so always call Silk Road Transportation in Santa Barbara for a smooth transition to every winery you would love to try. Here are some tips and tricks to have an amazing time on your winery tours in California! You may think that the most popular winery is best, but this is not always the case. We aren’t saying any wineries are bad, we would never say such a dastardly thing. What we are saying is remember the ones that may be forgotten. If you have a chance, go check out the mom and pop wineries, because you will be pleasantly surprised by what you encounter there. Eating is essential to do while on an extensive winery tour. You want to make sure you keep a good pace and maintain a good food intake so you don’t become the sloppy friend that people pretend not to know on the wine tour. Also, don’t you want to try the delicious cuisine of California? We thought so. Some wineries will have food on site, and we suggest you try it because it’s delicious. Many people have this misconception that only hoity-toity people drink wine because it’s extremely expensive. This is absolutely false! Anyone can enjoy a nice glass of wine, or five. 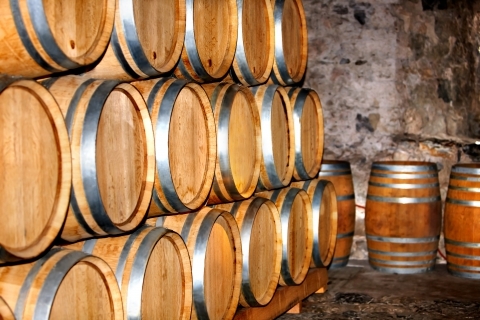 Do your research to find the wineries that are best suited for your group, taste, and finances. Also remember, if you have a bigger group you can split a lot of the cost. That will definitely help out your social life and wallets. Hopefully, these tips will encourage you to have an ecstatic time when you are in wine country. Please remember to always use your friends, Silk Road Transportation in Santa Barbara, for your transportation needs. Stay tuned for part three of this blog series! Thank you for mentioning that you want to make sure you eat a lot on the wine tour you take. I am planning on taking my husband on a wine tour for his birthday. Since he is a chef, I'm sure he will find it no problem to eat a lot of food while also tasting delicious wine.